Bangor, ME Northeast Bank announces the hiring of Chris Montemurro as a new Mortgage Sales Manager serving the Bangor market. Northeast Bank has been growing their mortgage division over the past year, creating new jobs to meet the demand for mortgages and serve buyers and sellers in the market. 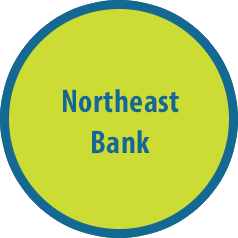 LEWISTON, Maine , March 3, 2015 (GLOBE NEWSWIRE) -- Northeast Bancorp (the "Company") announced today that Brian Pinheiro has been appointed as the Company's Chief Risk Officer, effective March 3, 2015 . Mr. Pinheiro joins the Company from Corporate Finance Group, Inc.
LEWISTON, Maine , Nov. 08, 2017 (GLOBE NEWSWIRE) -- Northeast Bancorp ("Northeast" or the "Company") (NASDAQ:NBN), announced today that J.P. Lapointe has been appointed as the Company's Chief Financial Officer and Treasurer, effective November 6, 2017 . Mr.
Lewiston, ME Northeast Bancorp (“Northeast” or the “Company”) (NASDAQ: NBN), a Maine-based full-service financial services company and parent of Northeast Bank, today announced that it has commenced a public offering of 4,760,000 shares of its common stock.